Posted on September 19, 2018 at 1:47 am. You want people to buy your service or product? You are constantly promoting and selling your ‘wares’? Because there might be another way! As a business owner, whilst we don’t like to boast about what we do, we know we are good at what we do and are passionate about the service or product we provide, and to be successful gaining clients and generating revenue we are constantly out there prospecting to promote ourselves and our business. But, have you ever thought about HOW we are doing this and if WHAT we are saying is the right way or the best way? We all know what it’s like to have someone do the hard-sell on us, for example, when we walk into a shop and we are pounced on or the retail assistant loiters close by making you feel pressured to buy, and if you’re like me you leave the shop. We need to focus less on the ‘what’ we are selling and more on the ‘why’ we are selling. Focus on the client or the customer and find out their needs or their problem. Listen to their situation so we can see if and how we can help them. We all buy emotionally and do so with a vision of buying ‘x’ will make ‘y’ better. So, we must think about focusing on how we can and will make a difference to the client or customer’s life in one way or another. In other words, what is the solution we have for the problem they have. By focusing totally on them and their needs and their problem, we can then talk more about how we can make them feel after they’ve used our product or service. 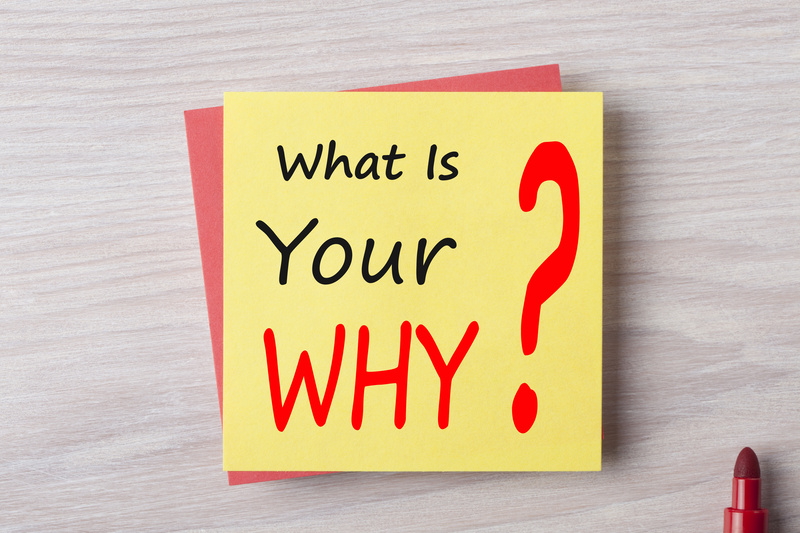 Try the above and measure how much more successful you become on focusing on the why and not the what!